An unsurpassed finishing process option that provides a luster and depth unmatched by any competitive system or process. Black nickel is a show quality plating processes. While expensive to produce, no polished cold air intake can deliver the discriminate and high quality appearance that the G/Q platforms deserve. No annoying hiss as experienced using competitive systems and gauze filters at part throttle. R2C performance intake systems are discreet and docile for comfortable cruise noise levels but deliver a deep, powerful resonance when high performance acceleration is demanded. 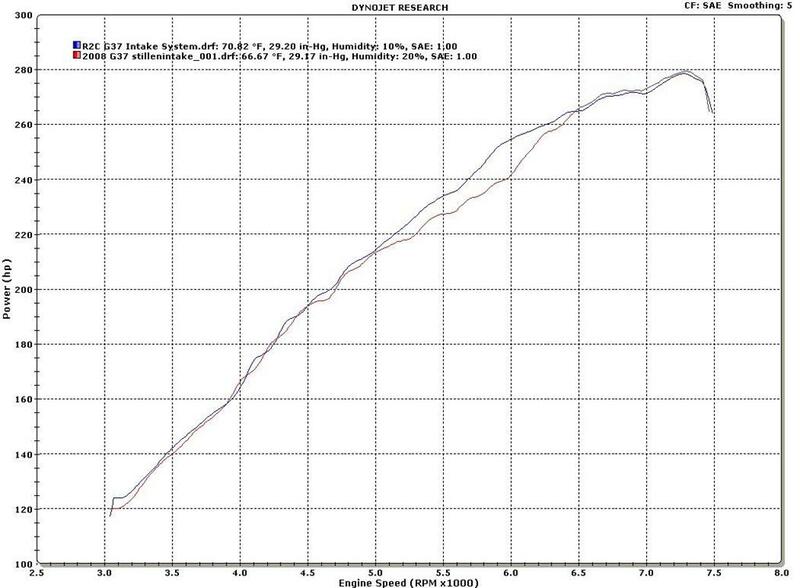 Excellent horsepower production beginning at a much lower RPM and maintained thru redline along with unmatched engine protection provided by the premium, military bred, R2C high loft synthetic media. R2C filter media is unlike other dry synthetics in design and structure and leads in every category of measured performance. No filter made today can provide the low restriction performance as miles accumulate and the filters begin to collect the dust they're designed to stop and hold. Plus, NO Oiling and maintenance is simple. R2C air filters will last as long as you own the car and don't require a penny in maintenance costs. Saves time and money. Easy to install with simple hand tools and NO Cutting of your G/Q is required! Get yours today! Attention G37 and Q60 owners! Would you like to improve engine breathing and acceleration without replacing the factory intake system? Now you can provide free breathing for your G37 quickly and easily with R2C's new Black Hex factory replacement filters. 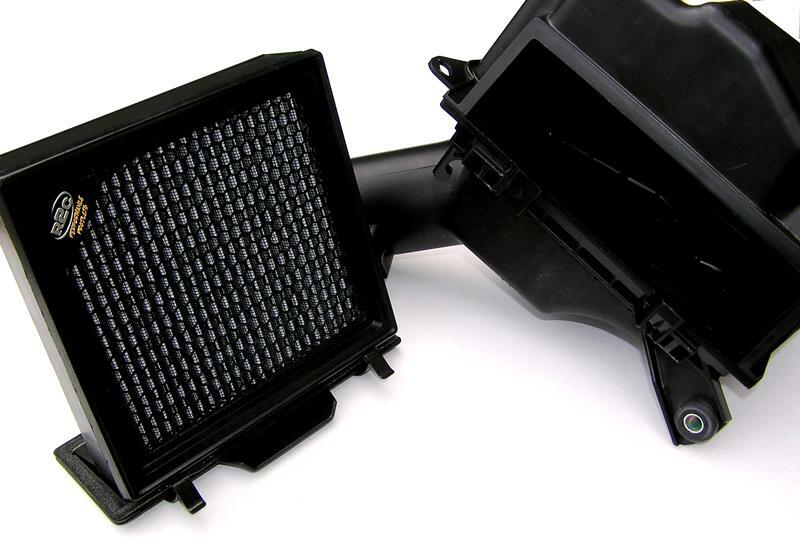 R2C lifetime Black Hex filters for G37 and Q60 applications offer flow rates 4 times better than any other G37 filter while offering the engine protection you need. Black Hex replacement air filters improve acceleration and allow your engine to work much less hard to breathe the air it needs for maximizing performance. No Oiling! Experience the Black Hex difference! The CFD designed, dyno proven R2C Infiniti G37 Cold Air Intake reduces factory inlet restriction by over 50%, producing gains exceeding 18 HP and finally allowing your engine to breathe properly! 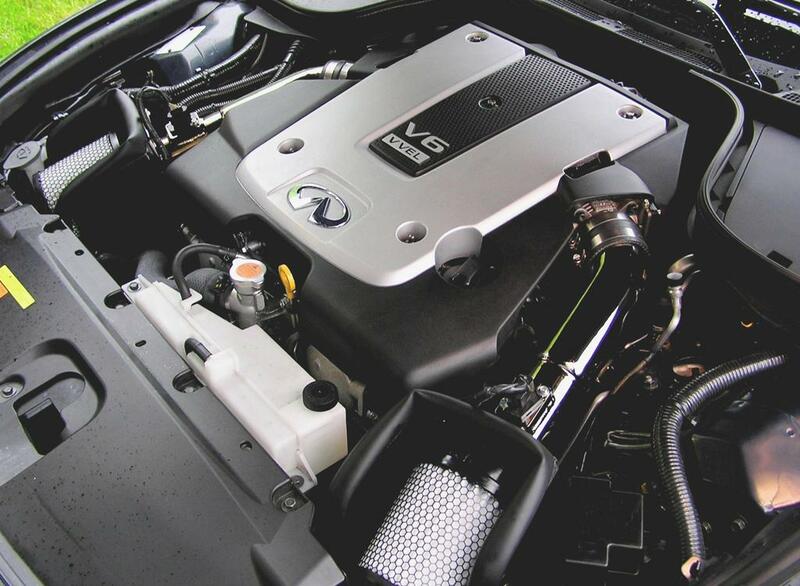 Specifically designed and engineered based on the demands of the sophisticated, high performance Infiniti VQ37VHR engine and featuring the best performing engine air filters available, R2C Performance continues to set the standards for Infiniti performance and engine protection. Nothing makes more power and torque and looks better than an R2C system! Unmatched intake tube finish quality - The best looking G37 intake tubes available! Easy installation - No cutting of your car's body required! 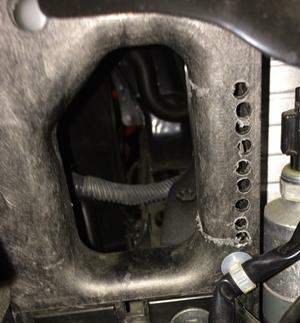 *Read - Don't even consider damaging your G37/Q60 by cutting holes in your factory core support There is absolutely nothing to gain and plenty to lose! 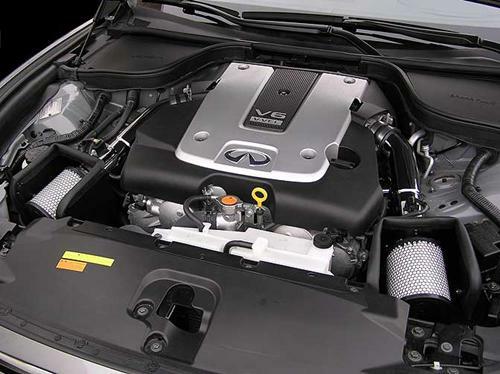 R2C G37/Q60 cold air intakes are available in mirror polished and black powder coat. Patented and proprietary R2C's lifetime high performance air filter technology delivers unmatched engine protection and efficiency. R2C high performance air filters completely eliminate the reliance on poor performing oiled cotton gauze. Not CARB approved for highway use in California. 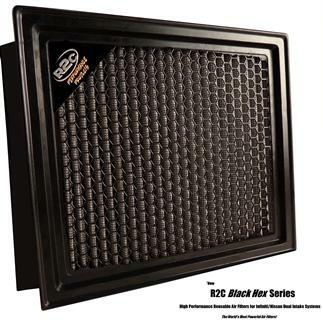 Now available with R2C's new Black Hex Series Air Filters.